23rd – 26th May – Bank Holiday Weekend. 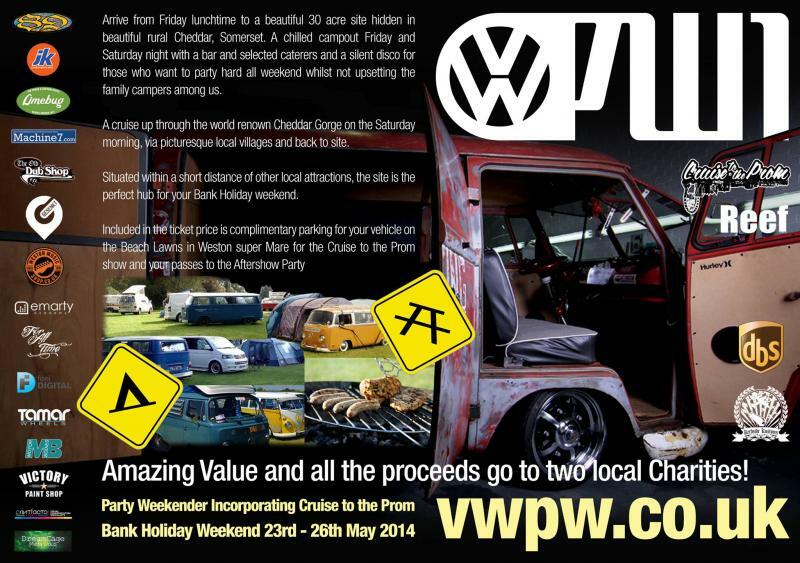 Introducing the annual Cruise to the Prom show, now with the PartyWeekender event, making it a complete VW weekend for everyone. Choose life, choose fun, choose chilling with your friends, choose going to an old school VW show, choose cruising in your Dub, choose helping make a difference by raising money for charities, choose Cruise to the Prom, choose rocking out on the Sunday night to Reef, choose PartyWeekender Dub Show. Arrive from Friday lunchtime to a beautiful 30 acre site hidden in beautiful rural Cheddar, Somerset. A chilled campout Friday and Saturday night with a bar and selected caterers and a silent disco for those who want to party hard all weekend whilst not upsetting the family campers among us. A cruise up through the world renowned Cheddar Gorge on the Saturday morning, via picturesque local villages and back to site. Situated within a short distance of other local attractions, the site is the perfect hub for your Bank Holiday weekend. Included in the ticket price is complimentary parking for your vehicle on the Beach Lawns in Weston super Mare for the Cruise to the Prom show and your passes to the Aftershow Party featuring Reef headlining the main stage on Sunday night. 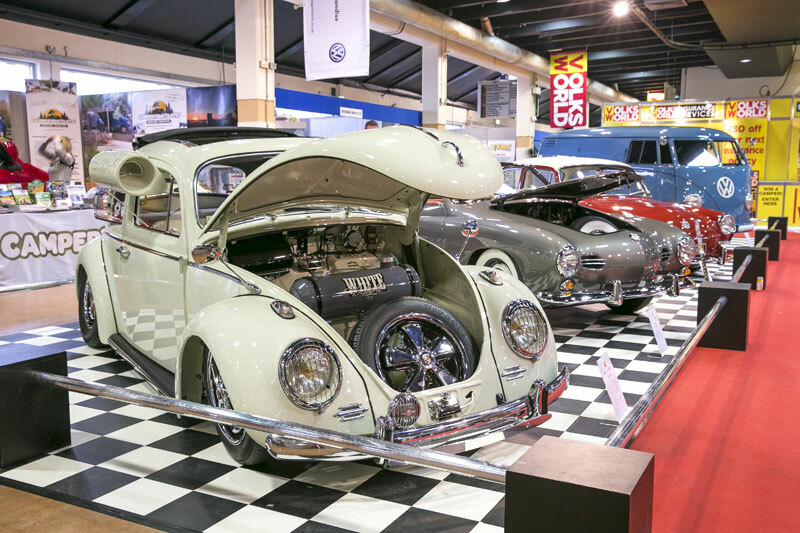 The VolksWorld Show: 29th & 30th March 2014, Sandown Park, Esher, Surrey.